Does your machine need a test? The Glassboy 330 is a counterbalanced floor crane and is ideal for shop fronts and low level glazing applications. Its compact design makes it easy to transport in a van. When combined with a vacuum glass lifter it makes a simple solution for more basic glazing installations. It can also be used to install glass between floors or where there is an overhang. A counterbalanced floor crane with a hydraulic lifting arm, the Glassboy is compact, lightweight and comes with a lift capacity of 330kg. With a lifting capacity of up to 500kg and a maximum hook height of 2.7m, the Glassboy 500 is a versatile and lightweight lifting machine that can be used between floors for raising loads from the ground with its optional electric hoist. The Glassboy 500 can assist with a wide range of lifting applications. It is ideal for shop-front glazing and fitting below overhangs when used in conjunction with below-the-hook devices such as one of our Vacuum lifters. The Geko is a extremely flexible, glazing robot that can move windows, glass panels and even curtain wall units into the correct position ready for fitting. 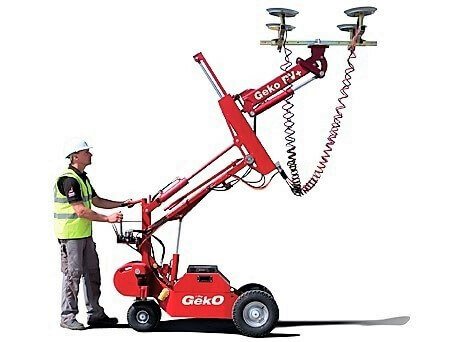 With 250kg of battery powered hydraulic lifting, the Geko Glazing Robot is a machine encompassing of a battery-powered installation robot which can be used in conjunction a removeable MRT4 Glass Vacuum Lifter. This compact machine can fit through a regular doorway to work between floor levels where they can work internally to carry out glazing operations from the inside out. These machines are a popular choice with glazing and curtain wall contractors who need an efficient and accurate result. Geko robots have a small footprint which means they can work close to the installation point and around any nearby obstacles. Used together with other pieces of glass handling equipment, glazing robots have been created to comply with manual handling guidelines particularly associated to handling composite and unitised windows. All glazing robots for hire undergo safety checks and calibration before being hired out. Glazing robot hire services available across the UK. Training available on this product. A fixed length forklift jib which mounts on to the forks of any fork truck. This gives the user a hook point to mount other things from. 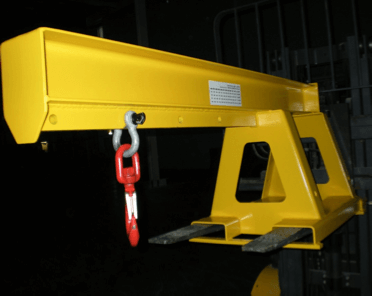 It turns your fork truck into a crane in seconds, simply drive in and secure to forks. An excellent and essential standby for handling the occasional long/awkward load. Supplied with safety swivel, hook and shackle. A fork mounted jib or hook is typically used when it is required to lift the load from the top rather than lifting from below the load, for example where the fork times cannot fit under the load. There are a wide range of jibs and hooks available from low profile to high profile which are useful if you need to lift that little bit higher. 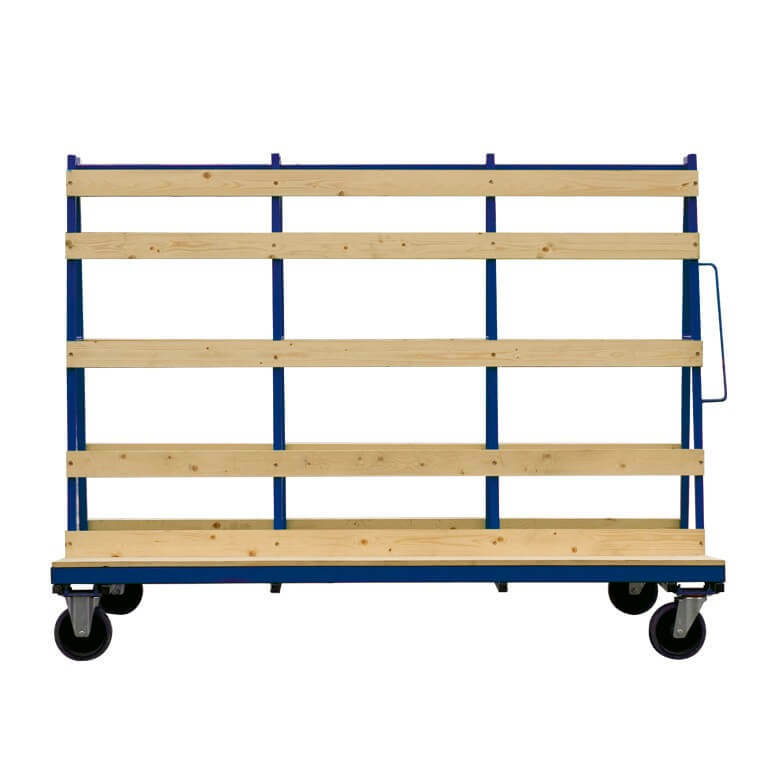 Transport glass and other materials safely around a site or workshop with our specialist range of trolleys. This Large A-Frame is capable of transporting loads of up to 1 tonne yet has heavy-duty compound wheels making it easy to manoeuvre. Hoists are often used in conjunction with glass vacuum lifters and used for applications such as ground level shop front glass installation. Faster than the TR30 and with a 500kg capacity, the TR50 hoist also boasts a 2.5m pendant control cable with emergency stop function. 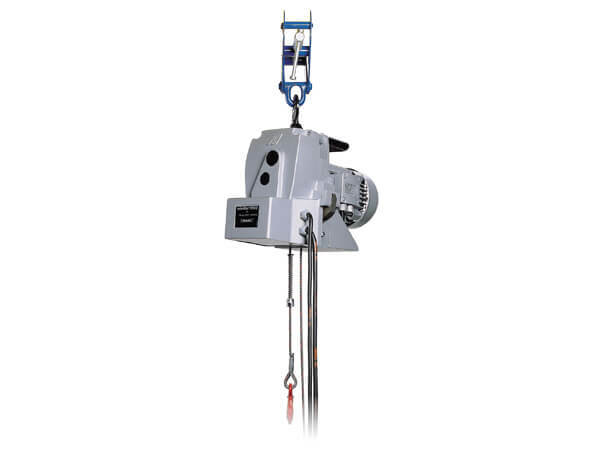 We provide competitive rates on both short and long term hire on our material hoists. We’d love to help you by answering any questions you may have about our lifting solutions.